Definition. 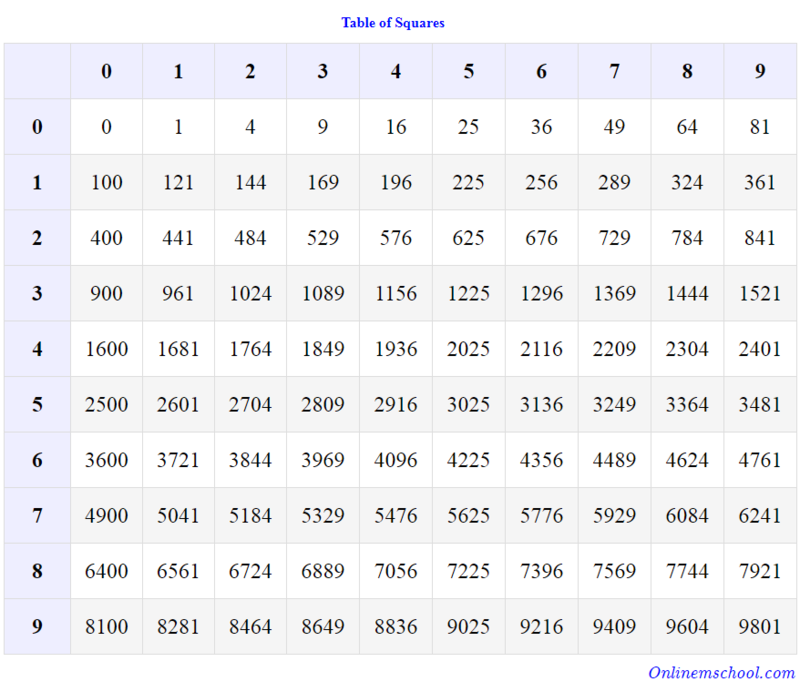 Square of the number - is a number raised to the second power (number multiplied by itself). It is called "Square", because this operation is similar to calculation of square area. 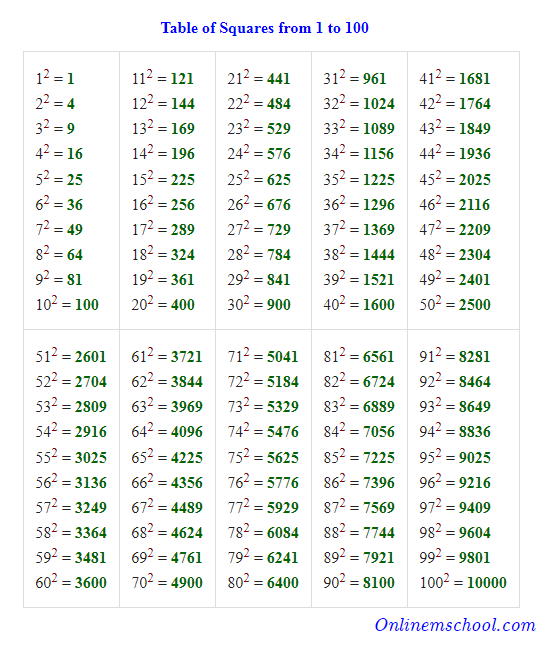 See below a two tables of squares of natural numbers from 1 to 100.